Oh the excellence or Exzellenz of Hall. 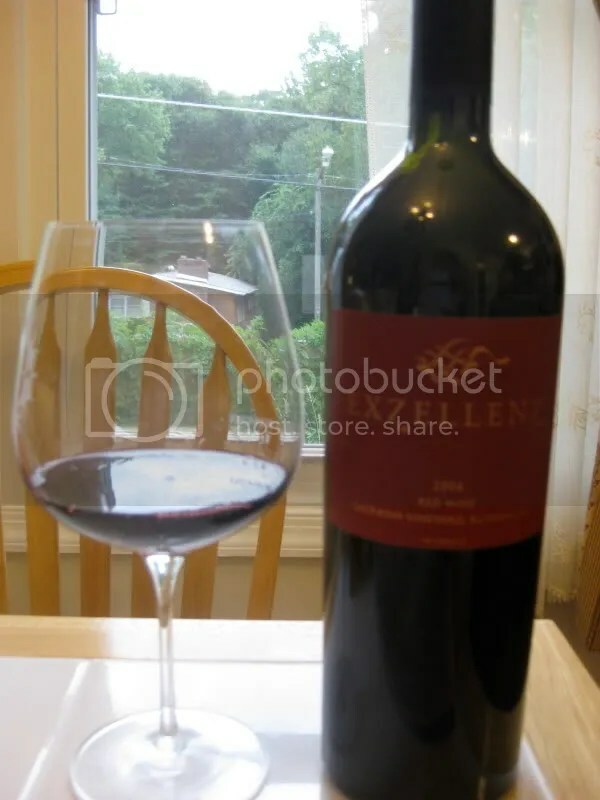 I wrote about the 2006 Kathryn Hall Cabernet Sauvignon a couple months ago. I loved that wine. Well, that’s an understatement….I adored it. 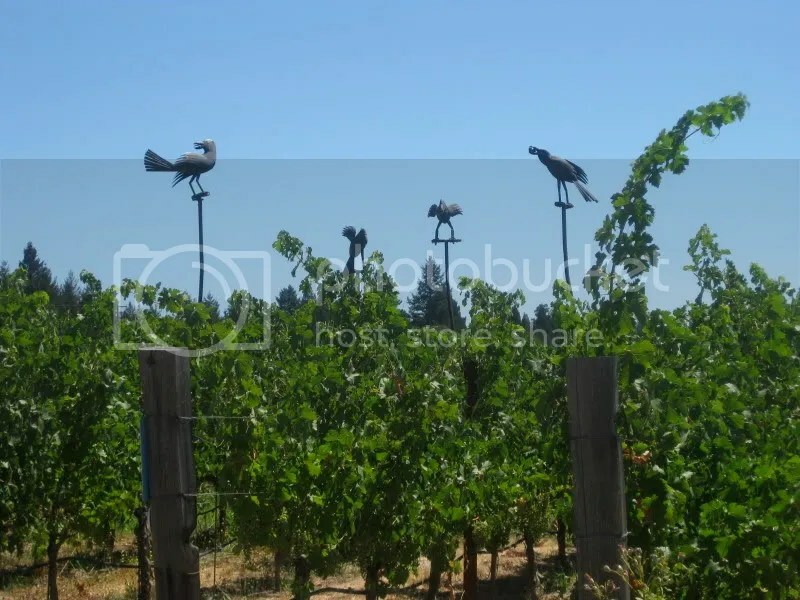 Since then, I’ve actually had a chance to visit Hall Winery (both the St. Helena and Rutherford locations) and I will need to tell you about that soon. For our anniversary, we decided to crack open the other bottle that Hall sent me as a sample to toast our 3rd year as a married couple. 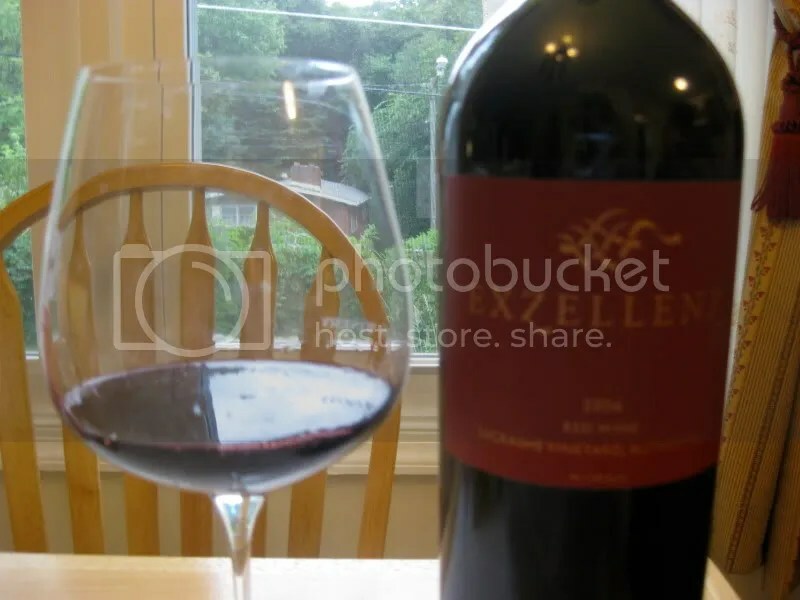 The 2006 Hall Exzellenz is a 100% Cabernet Sauvignon, but my understanding is that Hall wanted the flexibility to change it to a blend in the future. I walked through the Sacrashe Vineyards at the Hall estate where the grapes are gone and heard from the Vineyard Manager about the farming. 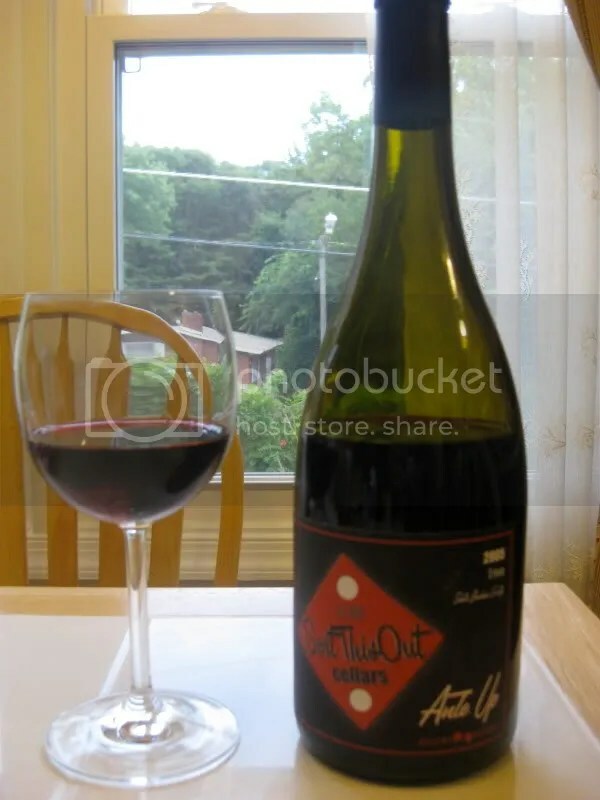 The Exzellenz had a real cork, clocked in at 14.5% alcohol by volume, and retails for $150. On the nose I got black cherry, earth, spice, forest, fresh figs, cinnamon, dusty chocolate, and some red fruit hanging out in the background–I want to say some red berries. In the mouth I found black cherry, spice, black currants, black plum, dark chocolate, anise, earth, and a bit of blackberry. The fruit in the mouth showed as really juicy black with tannins to spare. Of the two Hall Cabs I’ve tried, the Kathryn Hall was much more approachable as a very young wine, and if I were to pick one to drink now, that would be it. If I wanted a wine to cellar and hold for years to come, I’d pick the Exzellenz and tuck it away for 15 years. We brought some bubbles with us to my parents’ house last week to enjoy as the weather was supposed to be scorching. I’m glad we did…apparently it was the warmest weekend all summer! Thankfully, we had bubbles and a pool…and my parents just put in central air. Of course, I lived there for 19 years and we didn’t have central air. 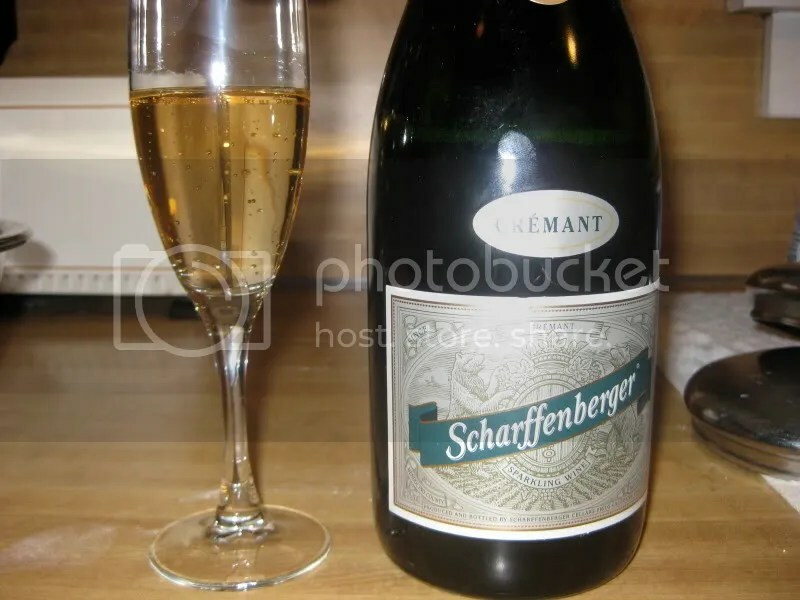 Anyway, we packed the N.V. Scarffenberger Cremant into the car and popped it in the fridge when we arrived. 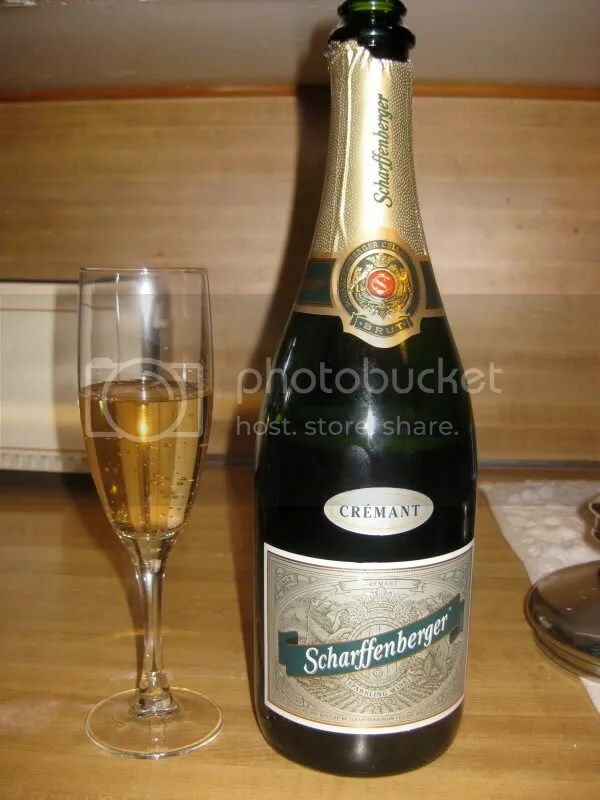 I purchased this at the winery for $25 and it had a typical Champagne cork closure. On the nose, the wine smelled waxy. I’ve used this description before, but it’s only the second time I’ve found this box of Crayola crayon type smell. I also found yeast, slight citrus, and a little raspberry. A fairly reserved nose. In the mouth I got raspberry, orange, yeast, and citrus. Overall, the wine was light and crisp, with tingly little bubbles. 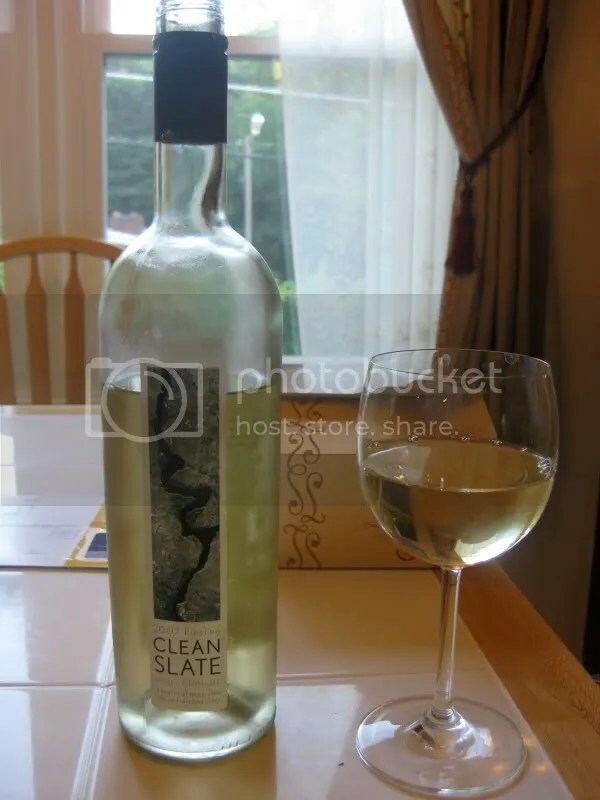 *Disclaimer: I received this wine as a sample from Sort This Out Cellars. Well, I don’t play cards. And I don’t gamble. But I’d suggest you gamble on this bottle of wine, as it’s a solid bet. 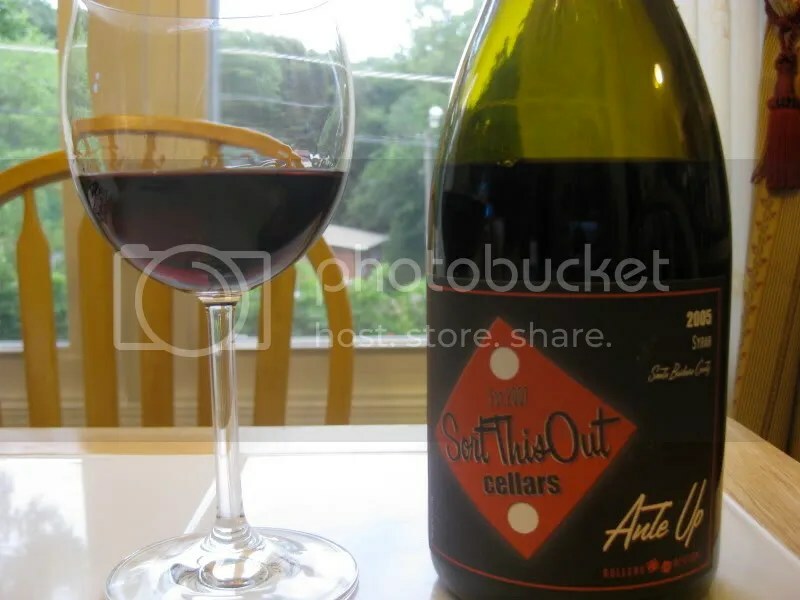 Tonight we opened the 2005 Sort This Out Cellars Ante Up Syrah. It had a real cork closure, clocked in at 13.5% alcohol by volume, and retails for $24. We had it after dinner since I really wanted a Syrah but we were having a creamy casserole for dinner that wouldn’t match well! On the nose I got plum, black cherries, pepper, vanilla cream, black currants, blueberries, juicy black fruit, anise, and herbs. Those nose just smelled fresh. In the mouth I found tart black fruit, black cherries, black plum, spice, herbs, anise, and black currants. Really, it tasted like I bit into a black cherry! 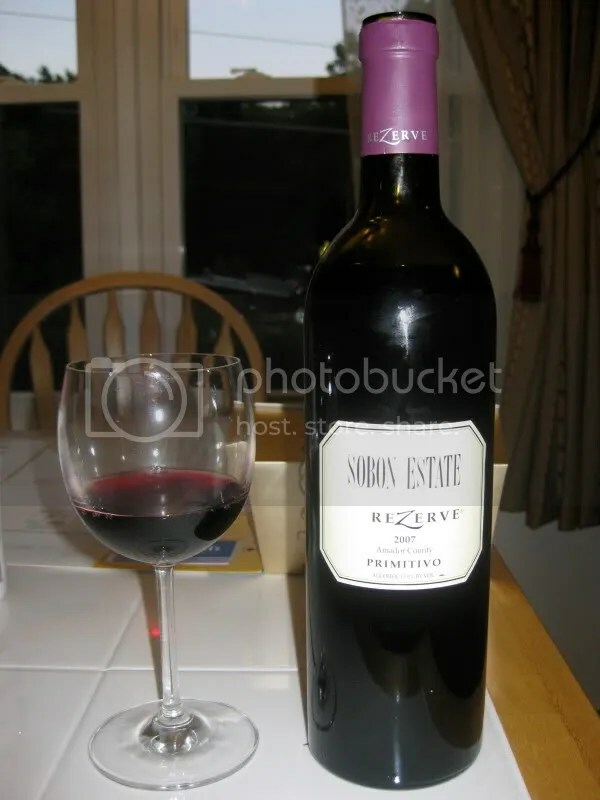 The wine had nice acidity and structure and would be great with a roast. *Disclaimer: I received this wine as a sample from Don Sebastiani and Sons. The Crusher series of wines is one of several labels from Don Sebastiani and Sons. It falls under the Three Loose Screws brand and is intended to be a line of affordable single varietal wines mostly from Clarksburg, CA. I wrote earlier about the Cabernet Sauvignon that didn’t much taste like Cabernet Sauvignon. 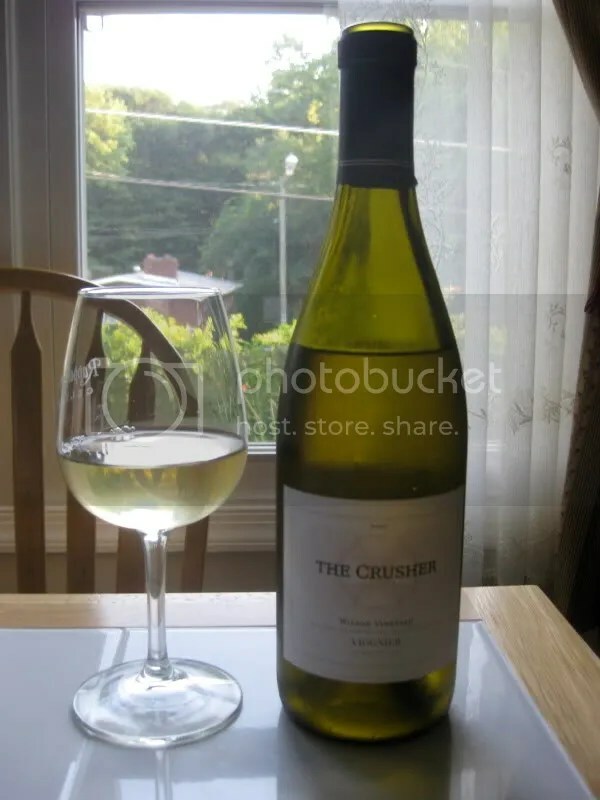 This time I have the the 2007 The Crusher Viognier. It had a plastic cork, retails for about $12, and clocks in at 14.9% alcohol by volume…pretty high for a white wine. I wanted to like this wine. I really did. In general, I love Viognier. But I didn’t love this. The nose showed banana, flowers, honey, lemon, melon, pineapple cream, underlying yellow apple, and pear. A good start. But in the mouth I found it to be very bitter and acidic. I also got vanilla, pear, peach, some oak, cream, apricot, and a spicy aftertaste. I see other reviews around the wine blog world that really liked this. NMS. *Disclaimer: I received this wine as a sample from Sobon Estate. Several months ago, I connected with Sobon Estate on Twitter. 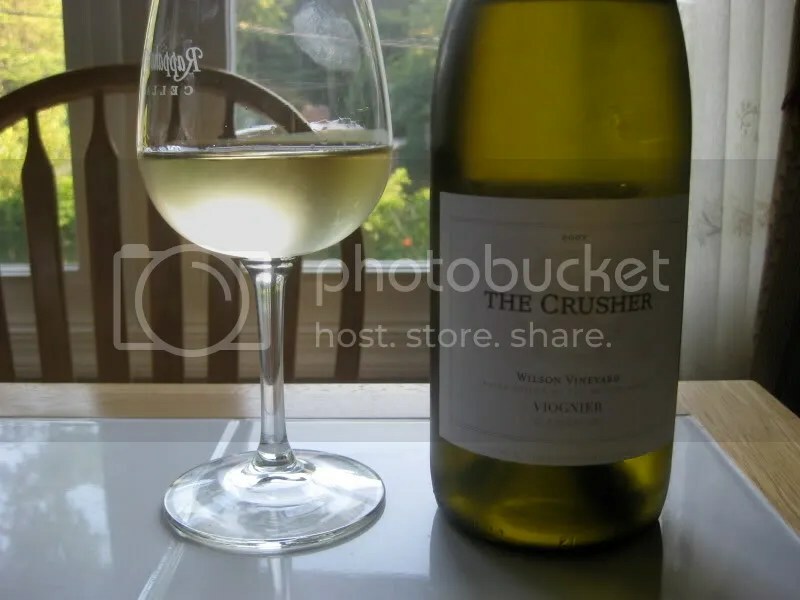 As I’ve mentioned before, if I’m out and about shopping for wine, and I’m looking for new stuff to try, I’m much more likely to choose a wine from a winery I’ve connected with on Twitter or seen on a fellow wine blogger’s site if one is available. I guess connecting with the folks behind the winery on Twitter makes me more interested in seeing what their brand has going on. In that vein, I purchased a bottle of Sobon’s Sauvignon Blanc and as I Twittered and wrote about it, the folks at Sobon offered to send me a couple of their Zinfandels to try! 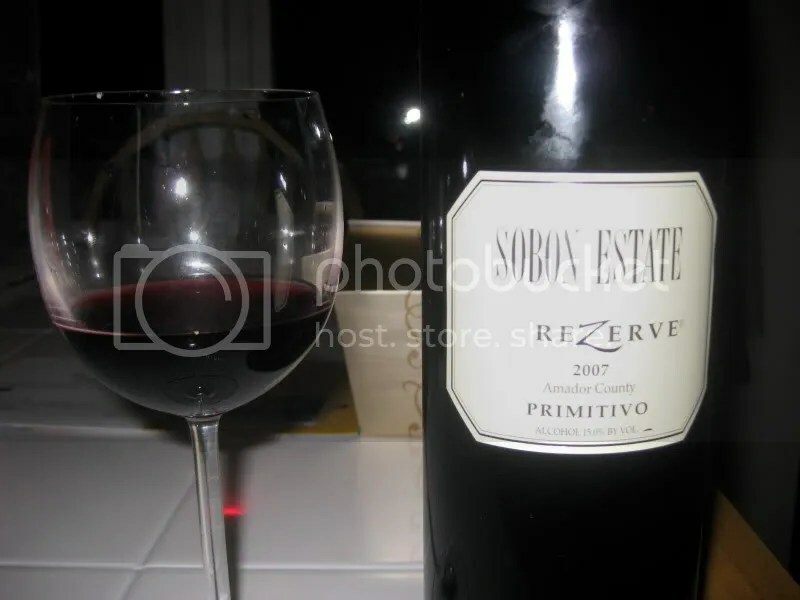 We cracked open the 2007 Sobon Estate ReZerve Primitvo from Amador County to try the other night. It retails for $24, clocks in at 15% alcohol by volume, and had a real cork closure. So let’s just get this out of the way: I loved this wine. Absolutely adored it and imagined myself drinking it by the fire in the fall. On the nose I found pepper, smoke, blackberry, licorice, earth, herbs, wood, plums, and overall sense of jammy fruit. In the mouth I got tart blackberry, plums, boysenberry, lots of tart fresh fruit, black fruit, herbs, and pepper. On the palate, this was all juicy and just delicious. We ate it with my homemade pizza and it sang. *Disclaimer: I received this wine as a sample from the PR company for Wines of Germany. Searching for an inexpensive, tasty, easy to drink Riesling to add to your everyday wine line up? Look no further, I’ve found it for you! 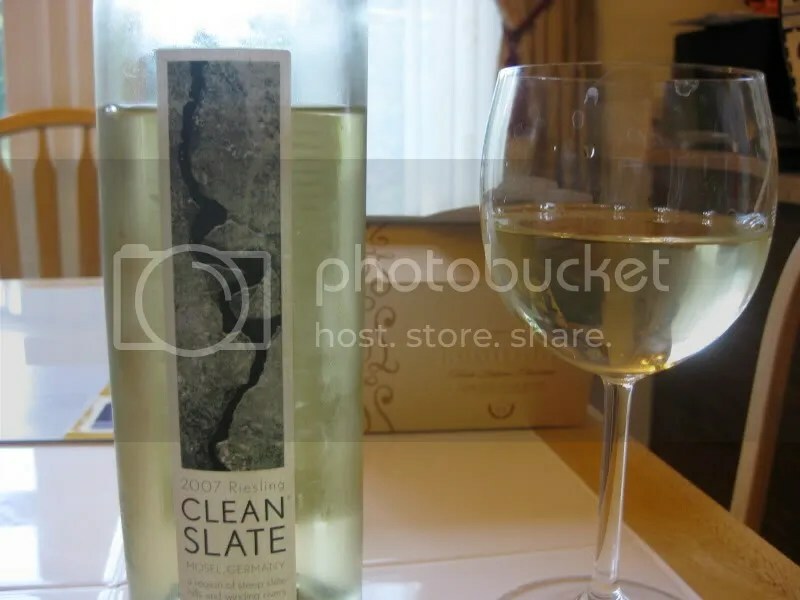 Although I wouldn’t spend a lot of time contemplating this wine, if you were sitting outside for some simple grilled chicken or white fish, I’d recommend slurping on this bottle of 2007 Clean Slate Riesling. It has a screw cap, clocks in at just 10% alcohol by volume, and retails for under $9! On the nose I found lemon, pineapple, almonds, tropical fruit notes, tart apple, pear, and peach. In the mouth I got citrus, peach, lemon, apple, white peach, honey, nectarines, and a bit of tinned pears. Overall, the wine is clean, crisp, dry, and presents loads of yummy fruit flavors. All for under $9. Add this one to your summer line up of fun, fruity whites and hopefully, like me, you’ll forget about the humidity for a moment while sipping it.